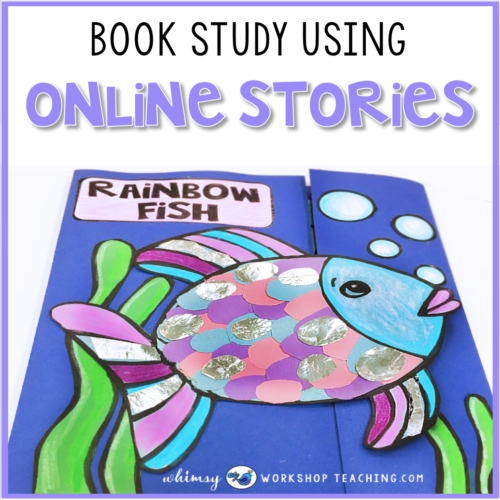 Looking for a quick, hands-on way to review your study of life cycles? 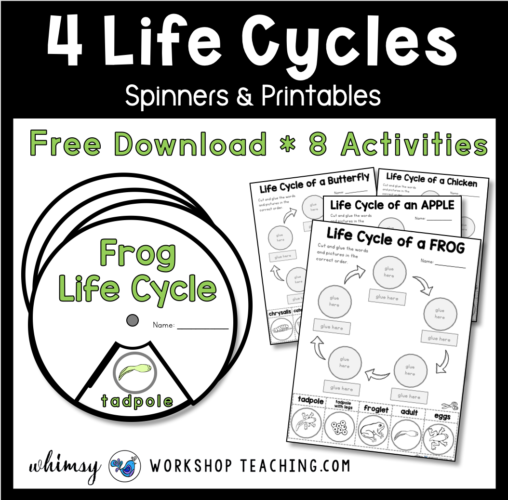 Here’s a free pack of life cycle spinners and cut and paste printables – you can choose which one to use with your students, or mix and match for variety! 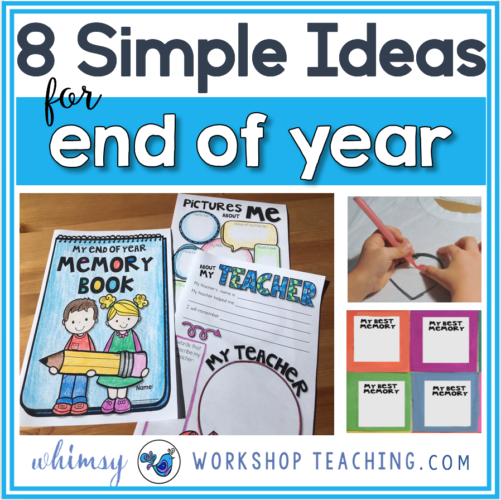 For this activity, all of the work is on one page so it’s easy to prep. 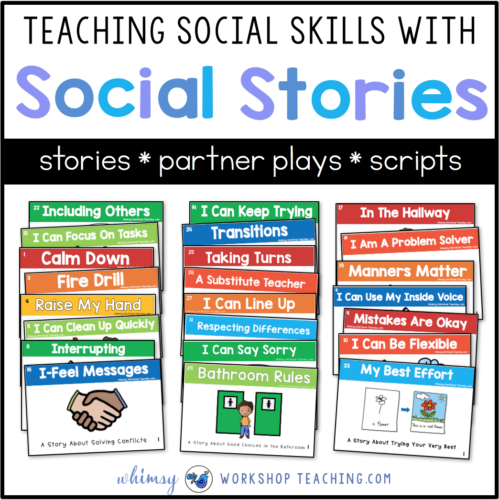 I’m always looking for new ways to integrate social skills into my teaching. 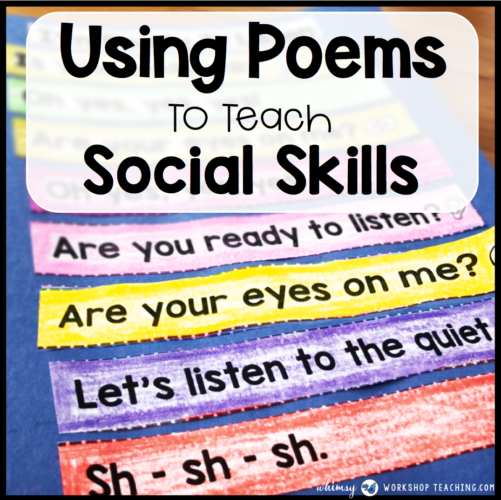 Poetry is a fun new way to teach social skills! 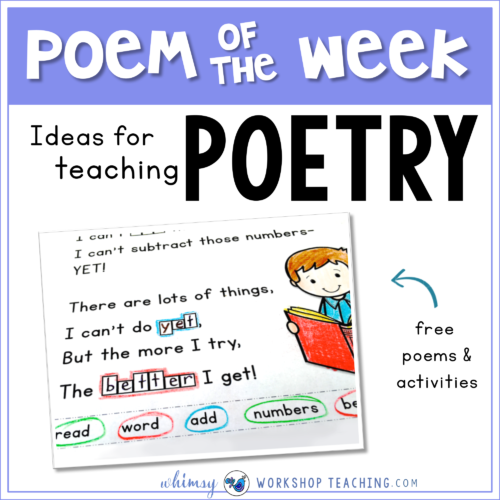 This year, we decided to integrate social skills in our teaching with our Poem of the Week! 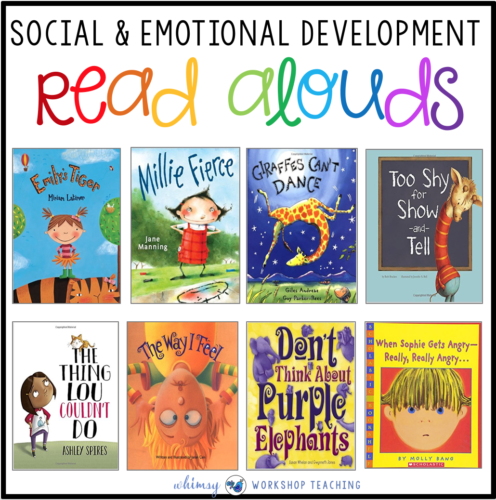 Each week we focus on a different social skill and use it to read, write, discuss, sort, and so much more! Math can be so much more engaging when you teach concepts in a new way. 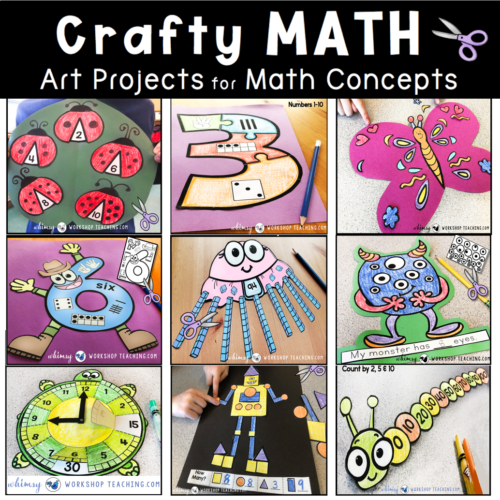 This year, I added some new math crafts to my math lessons, and the results were amazing! 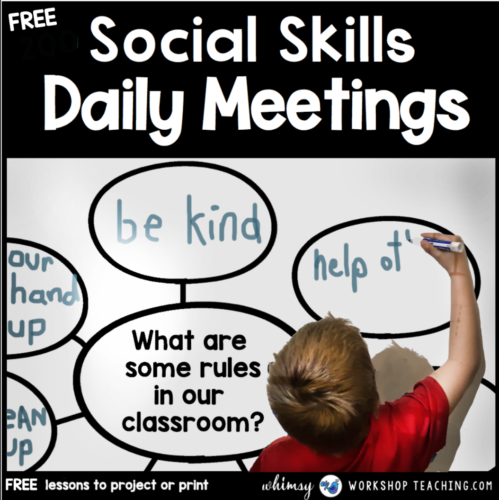 Even though social skills are so important, it’s often difficult to fit the lessons in each day. When they do happen, it’s often in reaction to a conflict that has occurred, and there’s usually not much time to really discuss the topic thoroughly. 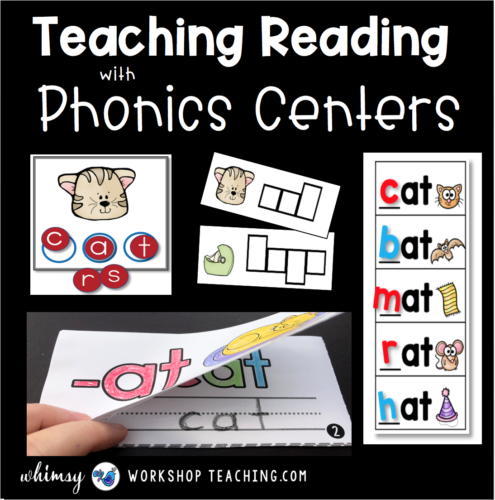 Phonics centers are the core of my teaching when it comes to emergent readers. As an early literacy teacher for over 25 years, I’ve learned a thing or two about how children successfully acquire and practice reading skills. In Kindergarten, our focus is letter sounds. That is the foundation of decoding letters as symbols for sounds we hear in language. Looking for some super simple art projects? 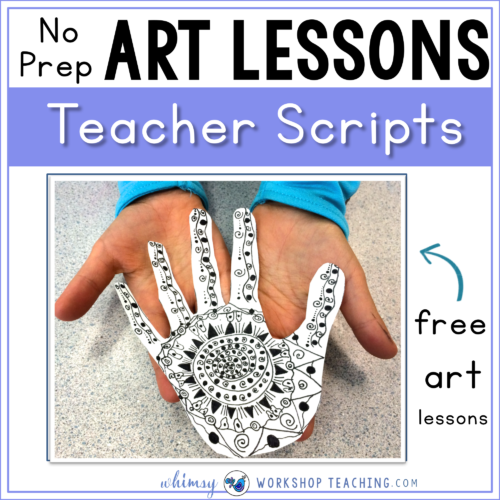 These quick and easy art projects are a great way for students to be creative without a lot of prep. These require very little prep! 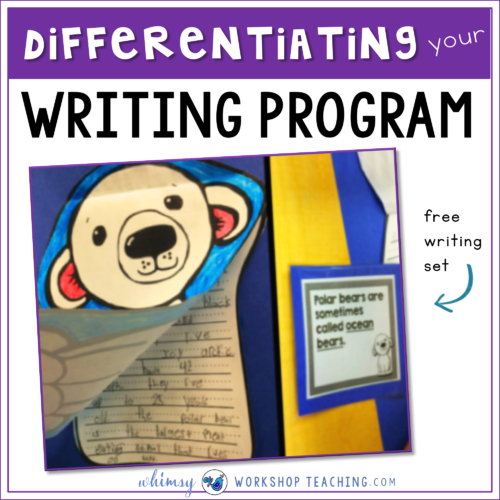 Most are on one page, so just make a copy for each student. You can use white paper and let students color, or copy on to colored paper. Thicker paper works best! 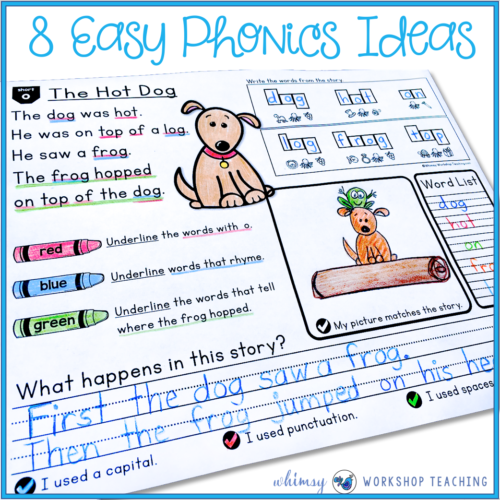 Looking for something super simple for your first grade writing centers? 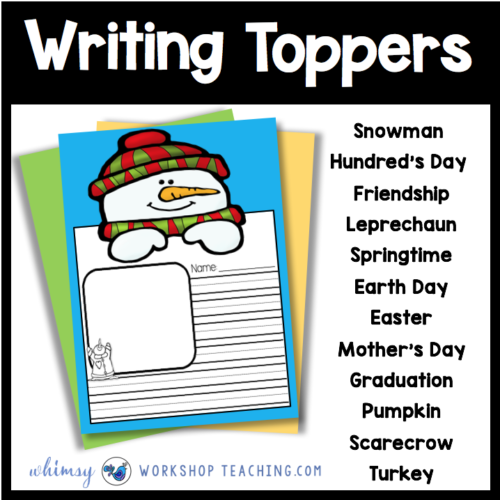 These fun writing topper templates are a great way to offer differentiation and interest in your writing centers! 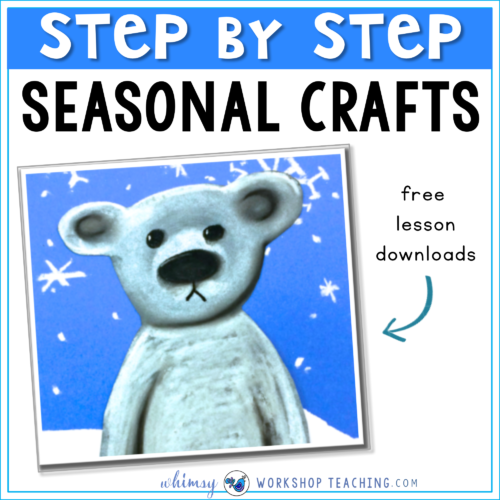 I created a set to use through the school year for seasonal topics. 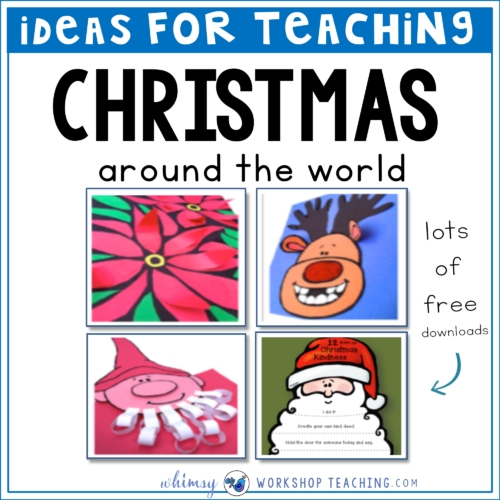 They are free to download and try with your students! 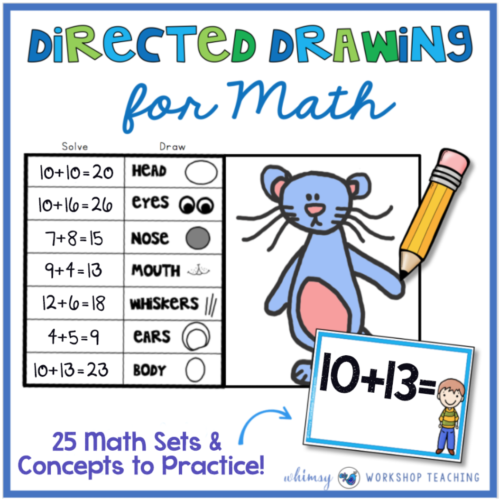 Looking for something super simple for your math centers? 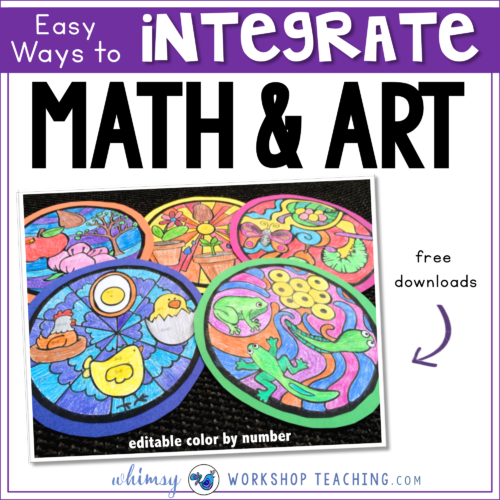 These quick and simple math centers are a great way for students to create interactive learning activities. These centers require very little prep! 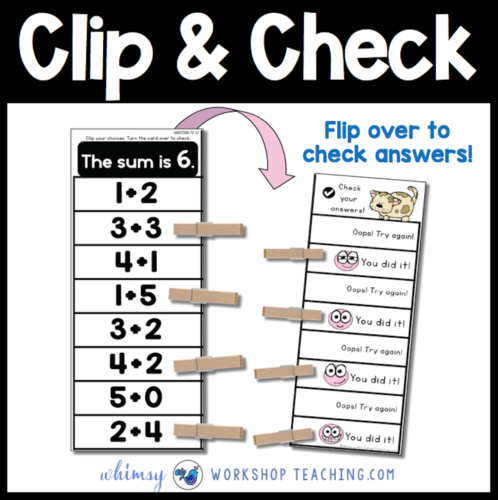 For the Clip & Check Math Centers, just print, fold in half and laminate. Students will need paper clips or clothes pins to clip their choices. 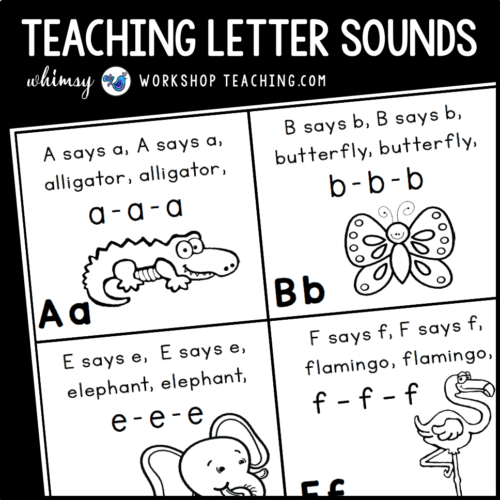 How do you teach letter sounds? 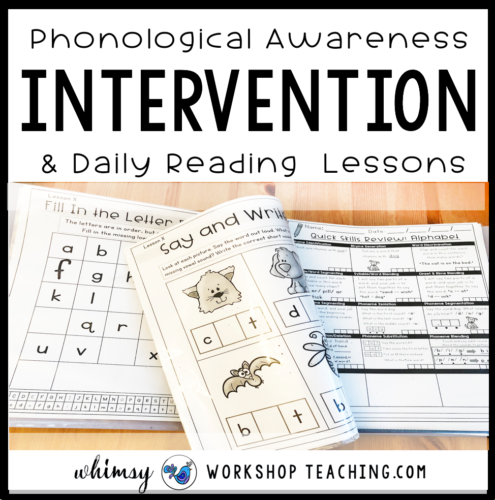 Teaching letter sounds can be tricky, and takes a LOT of daily practice. I try to use as many different approaches as possible so that I am addressing the many different learning styles in my classroom. 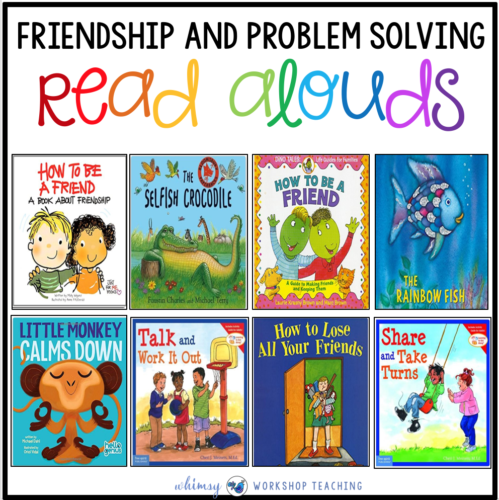 I use songs, videos, books, small group intervention, and whole group lessons. Here are some ideas for you to try! Below are some videos that my students enjoy. Click on any picture to watch the video with your class! This post is all about teaching reading, and it also contains a FREE alphabet printing activity for you to download! 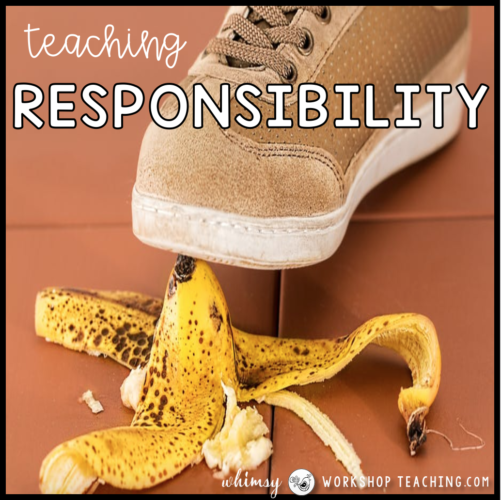 You may have seen my recent post about my HUGE teaching dilemma last year: a new teaching partner who had no experience with teaching primary math! 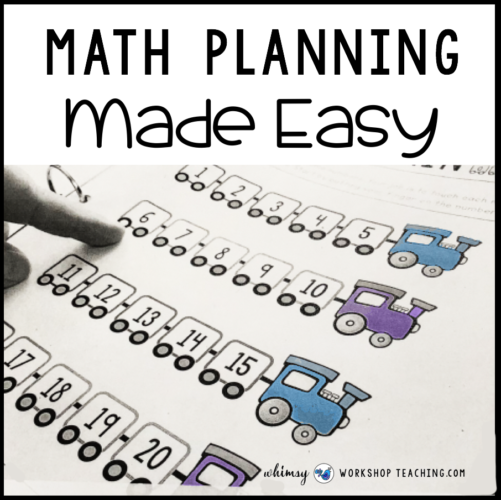 How could I make sure that my new partner stayed on track without spending HOURS talking about math lessons, planning, intervention and reporting? I had a BIG teaching dilemma last year. My teaching partner was new to first grade and didn’t know ANYTHING about teaching math at this level. 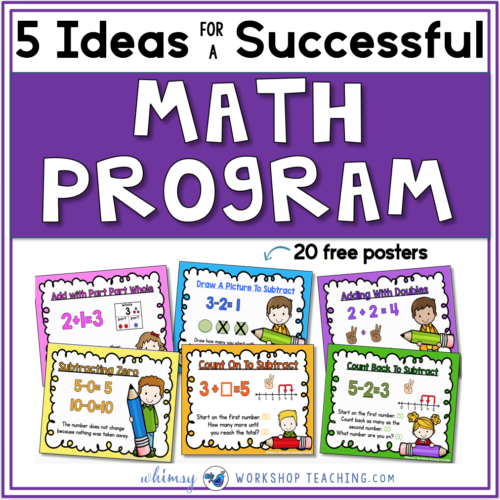 I needed to keep my math lessons organized through the school year, and I was worried our math lessons would fall behind or not be as effective when I wasn’t there. How do you celebrate Thanksgiving in your classroom? Do you celebrate “Friendsgiving” too? Have you heard of “Friendsgiving”? I was hearing this phrase everywhere and wondered what it was all about. Was I missing some new trend? NOPE. Turns out, it’s just like Thanksgiving, only you’re with your friends! This is perfect for a group of friends who can’t afford to fly home to see relatives. But it’s also perfect for celebrating in the classroom. We’re all friends, and we’re all thankful! 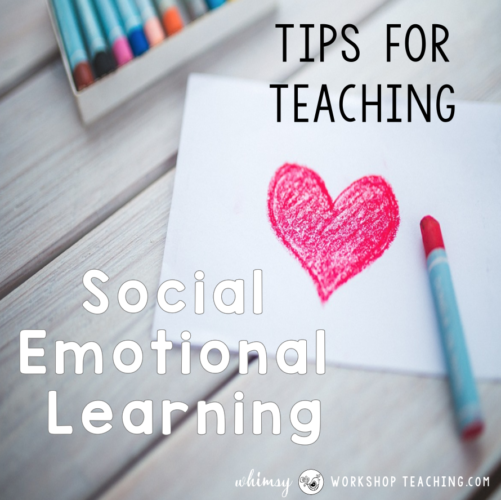 Social Emotional Learning, or S.E.L., has always been a critical element of a successful classroom. However, it is being taught more explicitly in recent years. 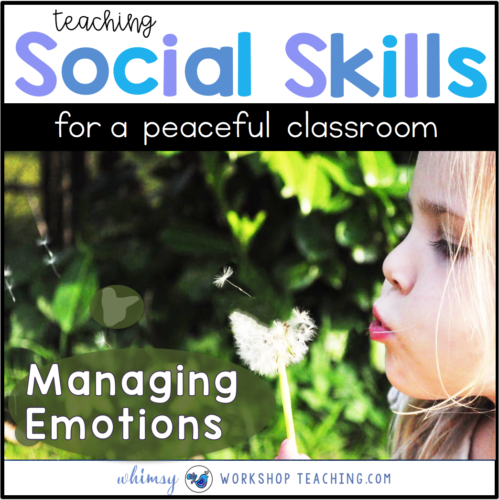 As primary teachers, we have probably already been doing many things to foster and encourage SEL in our classroom. Intuitively, we create a warm, inclusive environment. We help students to learn routines that are essential in a group learning environment. We help students to navigate peer conflict that may arise. I start my math lessons with math videos almost every day. They are a great way to warm up and start thinking about numbers. They’re a great review of the concepts we’re working on. Most of all, they are so fun and interactive that my students LOVE math time! This is our absolute favorite for early learners for counting to 50. 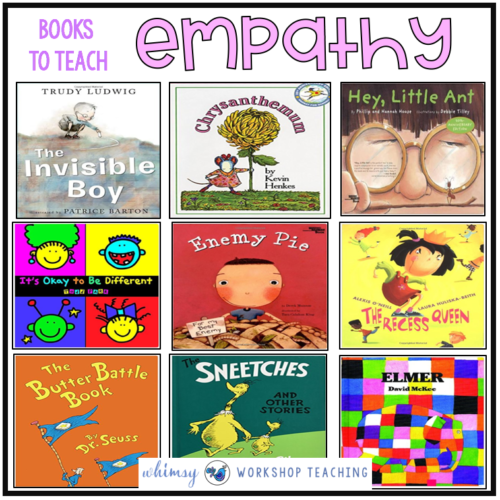 Book companions allow teacher’s to use one story to practice a number of core reading and writing skills. In my classroom, it ensures that I continue to use literature to explore things like story structure, sequencing, character traits, letter writing formats, comprehension and more. We can also have fun with stories using partner plays, comic book writing, and art projects. Why should teachers care about being organized? 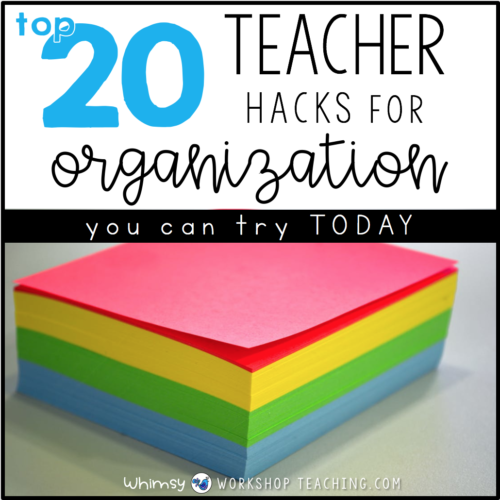 Whether you are naturally organized or not, using simple tips to be organized can make or break your teaching day! Many years ago our staff participated in a district professional development presentation where we all had to take a personality test. The purpose was to demonstrate that we all had very different strengths and learning styles, and so would our students! 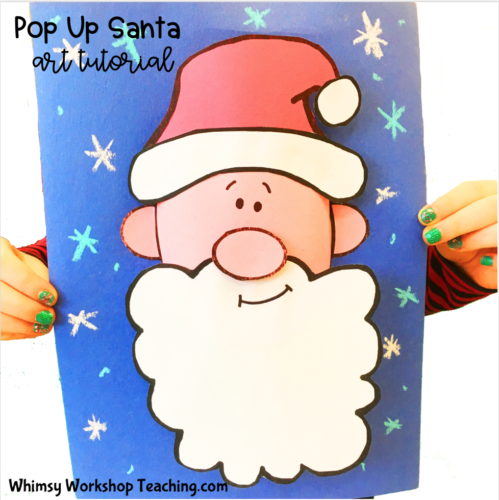 Christmas has the best art projects, including this cute pop up Santa! Aren’t they fun? Students draw their own eyes and mouth, so each Santa is completely unique and wonderful! The rest of the Santa is made by simply cutting out the templates and gluing the pieces together. He pops out, but can also be made flat, if you prefer! 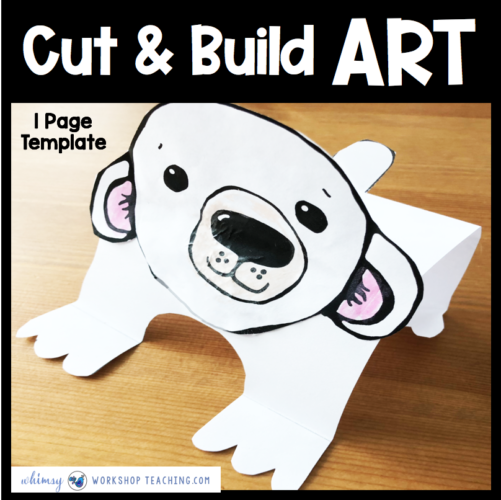 All you need is the printable templates, paper, scissors and glue! 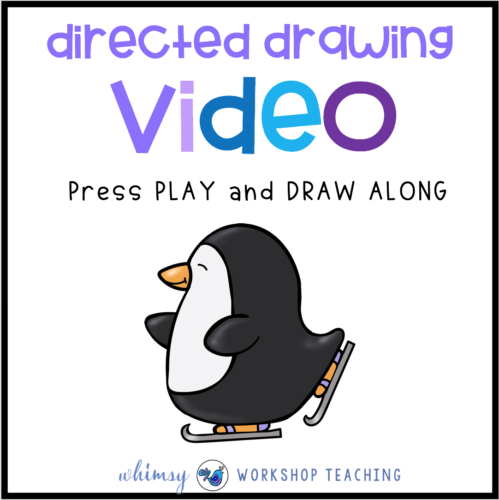 Do your students love directed drawing? Mine do! 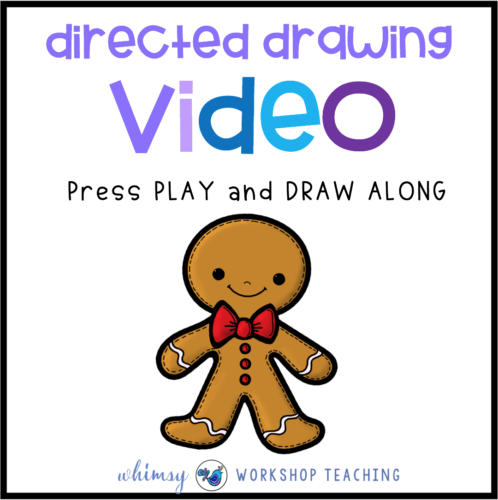 Read all about how I use directed drawing and writing prompts, and even directed drawing VIDEOS with my class! My students LOVE doing STEM Challenges. 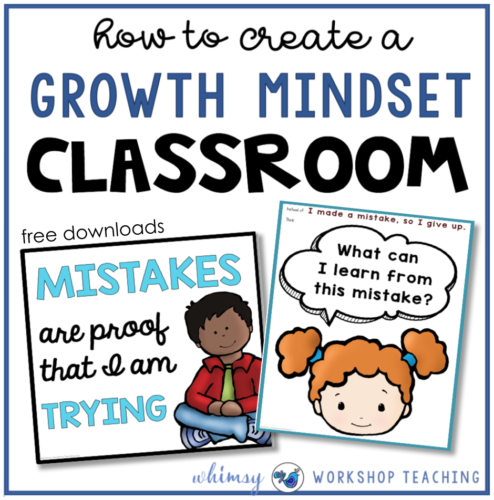 We began the year working on Fairy Tale Challenges from THIS resource, and it was a big hit! 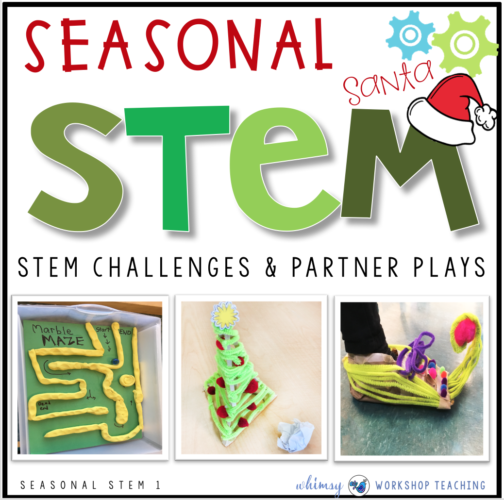 Now, we have added more fun by adding SEASONAL STEM projects! The first ones we tried were all about Santa! I strive to make my classroom a place where students feel safe, appreciated and respected just as they are. These ideas are reinforced all year long, but there are some special ways that we spread kindness in December for Christmas. 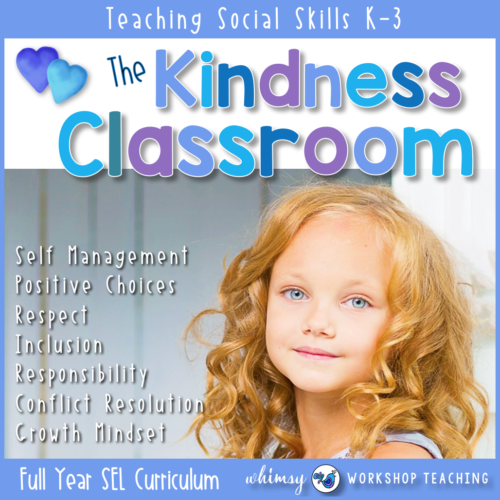 Teaching about kindness and acceptance seems more important than ever, especially at Christmas. 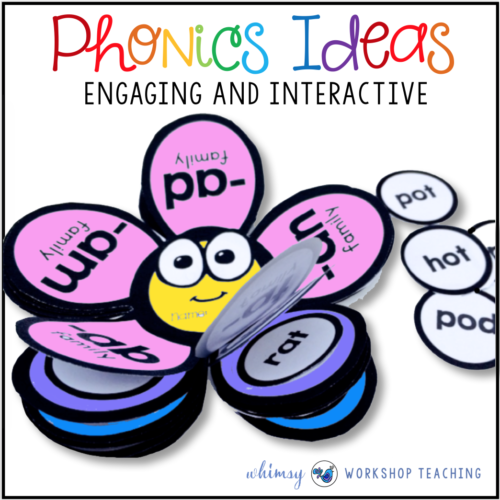 Here’s a fun and FREE activity to share with your class or children. It’s very easy: just cut out and assemble the two pieces of Santa’s loooooong beard. 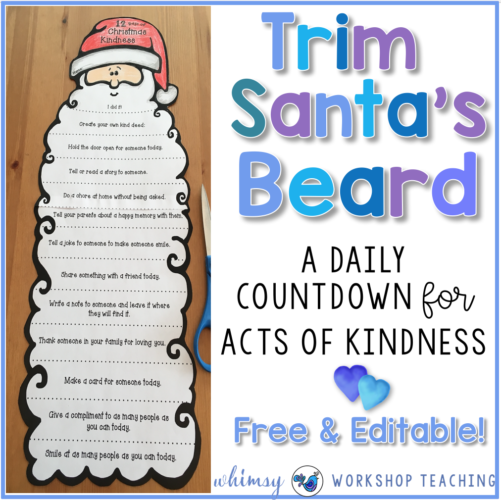 Students give Santa a trim each day – after completing the act of kindness written in each section. 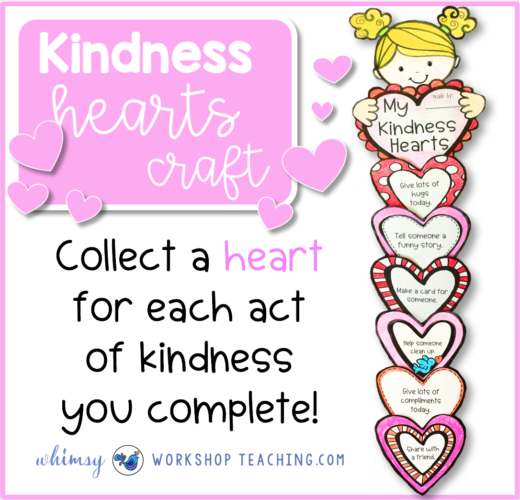 Choose the version you want: PDF or EDITABLE PowerPoint file (add your own acts of kindness to each section). Our classroom embraced STEM challenges this year in a big way. We explored all kind of building, integrated STEM with other subject areas, and worked in multi-age groups. We worked both in and outside the classroom on our STEM challenges. The confidence and enthusiasm of our little engineers soared! 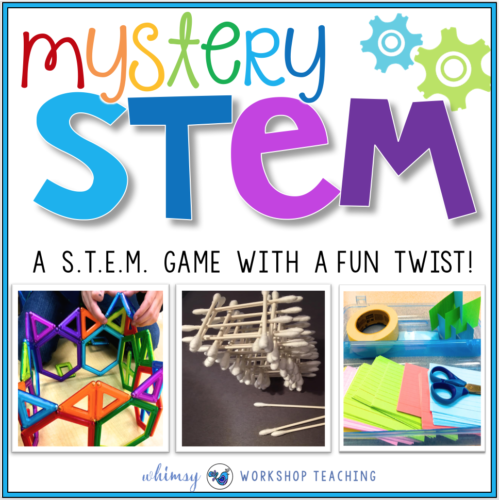 And now we’re adding MYSTERY STEM to add even more fun and rigor! 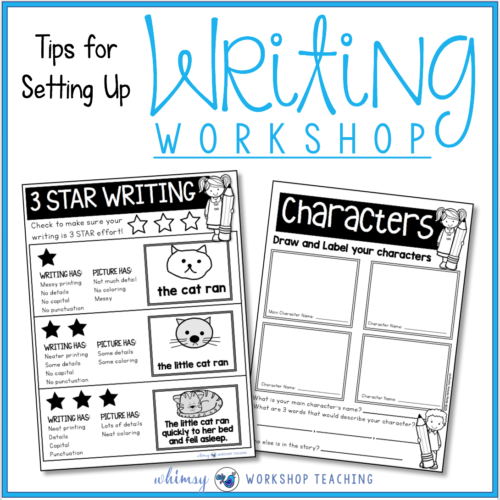 Writing Workshop : Setting Up For Success! 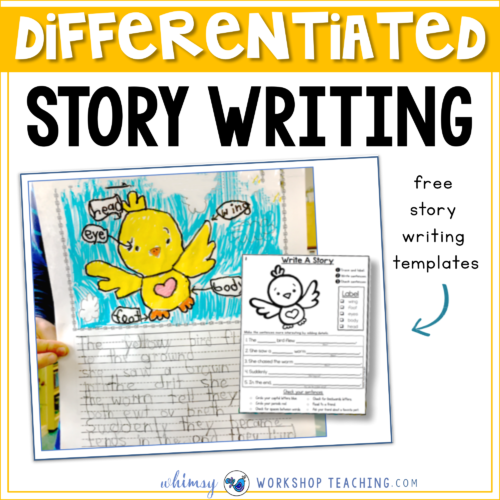 Do you do writing workshop with your students? My program has evolved over the last 23 years, and now it runs smoothly – although I can’t help but add new ideas each year! Long before I expect students to write stories, we spend a lot of time discussing stories. Looking for some new ideas for Father’s Day? 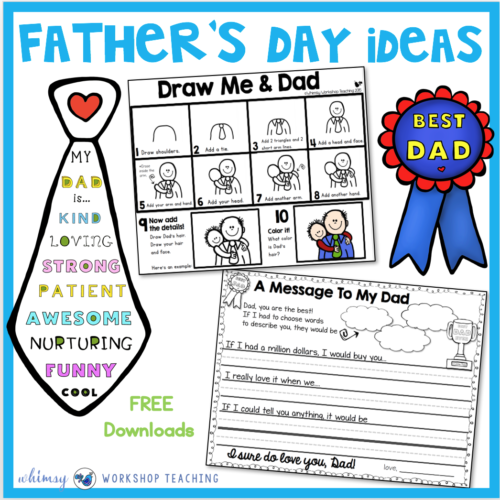 I’ve got two Father’s Day ideas for you – and they’re free! 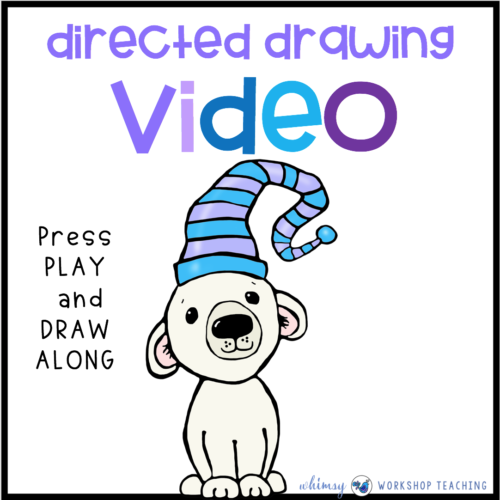 Do your students love directed drawing? Parents just love the personal touch of a drawing made by their child. It’s a simple ideas but such a wonderful keepsake! Students just follow the steps to draw themselves and their Dad. Then they color it in, and write about it using several writing prompts. Do you have your own ideas for Father’s Day? 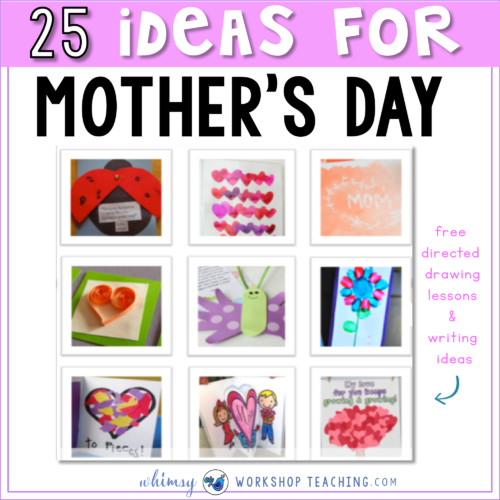 Looking for more Mother’s Day ideas? 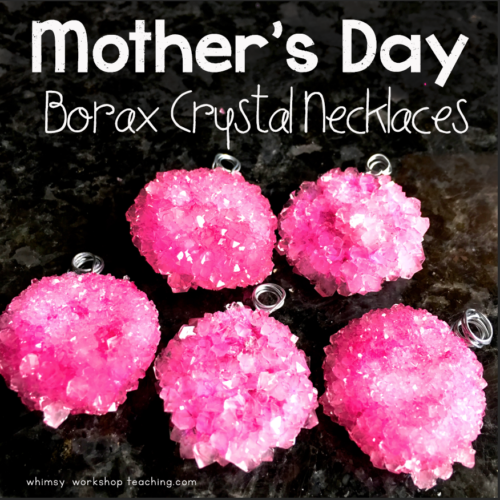 Add some Borax to your shopping list! Try these Mother’s Day pendants and add a little SCIENCE to your project! Students are so excited to see the crystals grow, and then add string to make a crystal necklace that mom will love! This flower art project took my class by storm! It began as a little spring flower craft, and soon spread through our class, then the classes down the hall as students saw the results and wanted to try it, too! 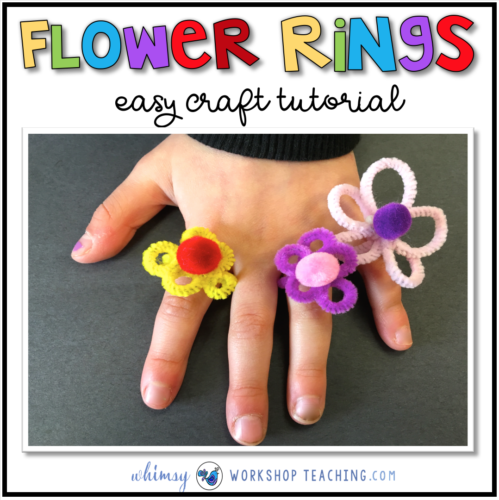 If you’re looking for something to keep little hands busy, this will do the trick. And they look so cute! Most of my students have a good understanding of our math concepts, but could definitely use some practice with basic math facts and speed of recall. Fast recall of facts will help them in later grades when the concepts become more complex. Daily repetitive practice helps with speed of recall, but that’s not always engaging for students. This is why I began using Math Pictures every day. 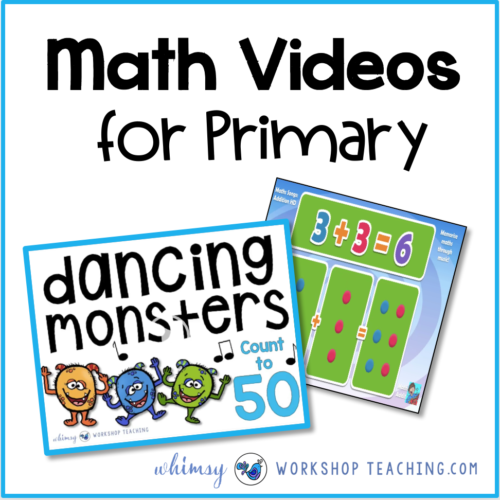 How can we make basic math facts practice more engaging and fun? 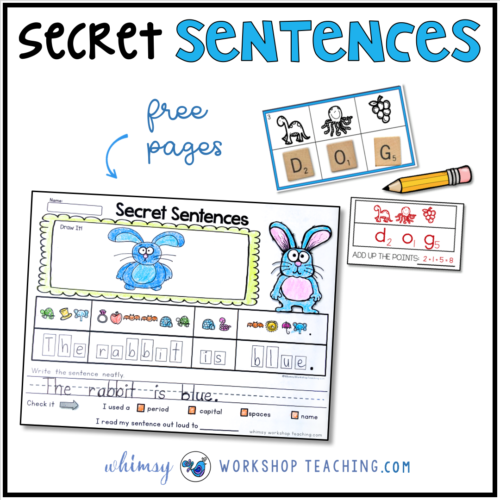 Secret Sentences for Phonics Fun! One of the most engaging activities in my classroom over the last 20+ year has been Secret Sentences. Students LOVE to solve a secret mystery, and even better when they are practicing their letter sound knowledge at the same time! How do you celebrate the end of the school year? Are you always collecting new ideas? I’ve tried many different ideas over the last 20+ years, and today I’m sharing some of my favorite and most successful ideas. As Easter approaches I am always collecting ideas to try with my students. My choices have to be manageable for primary students, either as a large group, or as a small group in the hallway with a helping parent. 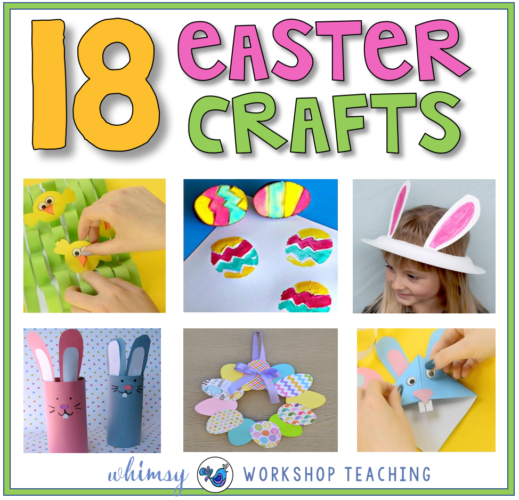 Here are some fun and easy Easter craft ideas! This is a cute way to hide some candy! Cover the bottom and drop some candy inside! Click HERE to see instructions. Our classroom is always full of bright and colorful art work! My student are so proud to see their work displayed, and how they pull their parents into the class to see what they completed today. This year, I took my art lessons to another level by making them independent! Here’s some real talk about my experience using STEM in the classroom. When I am coordinating S.T.E.M. 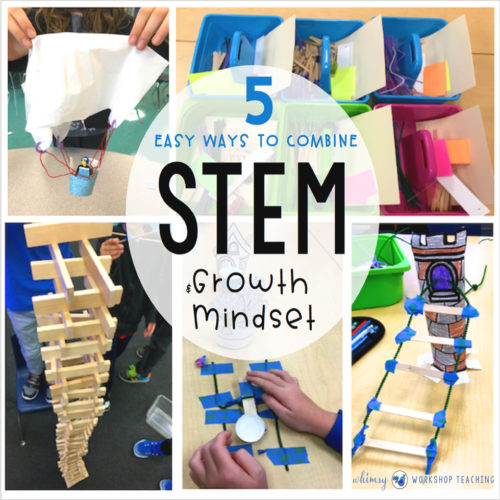 curriculum for grades 1-5, I observe many students exploring the STEM process who are truly engaged with hands-on learning. For the most part, students LOVE it! Sometimes I also see students who are not yet comfortable with taking risks. Some students are not emotionally equipped for dealing with the disappointment that arises when their great idea doesn’t quite work out the way they wanted. This will be my 22nd year searching for cute new Mother’s and Father’s Day ideas! Because I often have siblings of my students from previous years, I don’t want to repeat those ideas too often. I’ve collected a big list of ideas, most of which I’ve tried in my classroom to see how well they work out in real life! The links to the original posts are included so you can find more information. My students LOVE building sentences with hands-on materials. We are also expected to use activities that can show progress, that are rigorous and that cover many differentiate skills at one time. During center time, we use lots of different word tiles, word blocks and word puzzles to build sentences. 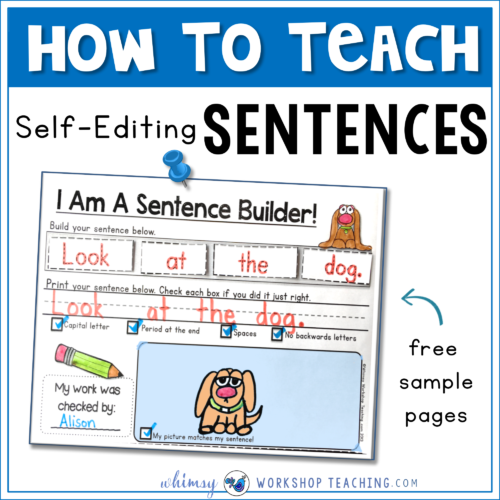 In addition to this manipulative word work task each day, here are some of the sentence building printables we’ve been doing in class to develop our skills through the school year. Directed Drawing is a fun and engaging way to integrate art and writing. 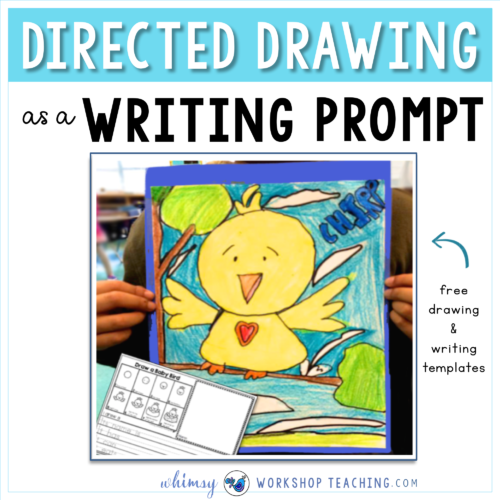 Here are some ways that I use art in my classroom to encourage more writing! As a primary teacher with a degree in visual art and art history, it’s so sad for me to hear that art programs across the country are being eliminated, art budgets being cut, and that teachers just don’t have time for art lessons because of increased pressure to get through other curriculum. 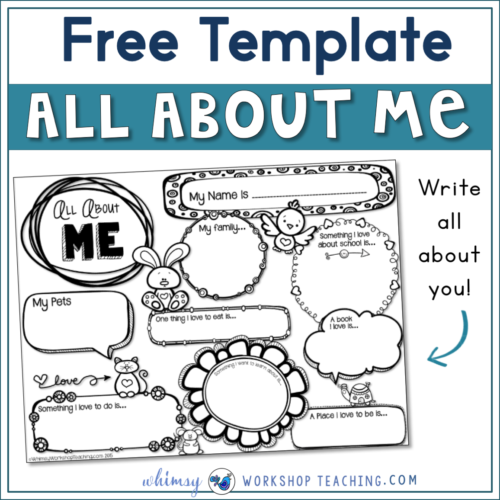 This year I will be using this cute All About Me writing template with my new students! 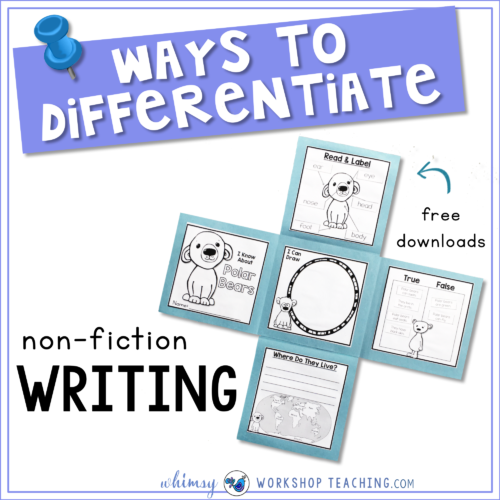 It’s not too overwhelming for my reluctant writers, and it’s a great way to get to know them. I find this format is more engaging for my emergent writers. The only rule I have is that they must complete some writing before they can color. And they WANT to color all the cute pictures very badly! 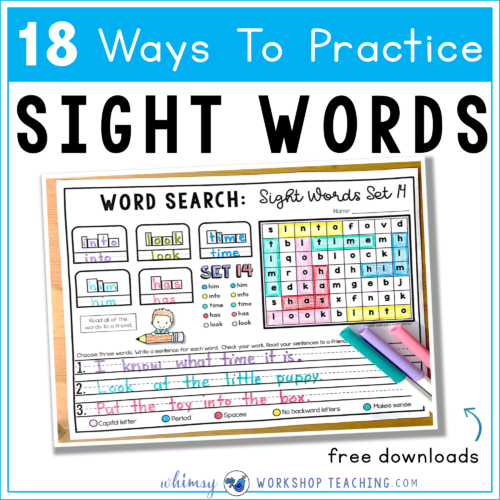 Each new teaching year challenges me to find new and interactive ways to work with sight words in my classroom. I like to keep my literacy centers fresh and engaging so that students are excited to try each new activity! We LOVE poetry in our class – reading it, writing it, rearranging it, and reciting it! Below are some of the many ways we use poetry for literacy in my classroom. Why Is Poetry So Useful For Literacy? 1.Poetry can be thematic, informational, and funny. The funnier it is, the more my students like to stand up and recite it to the class for a good laugh! 2.Passages can be short so as to not overwhelm early readers. Do you study polar bears or arctic animals with your class? We love doing this fun art project! 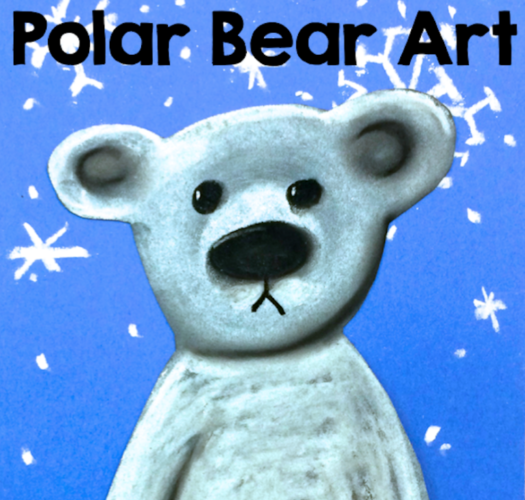 Each year while studying the Arctic, we make these cute polar bears with chalk pastel and construction paper. When I have younger students, we work step by step as a directed drawing. If you’d like to try it, follow the pictures below! You can also download your own copy of the step by step photos for your files (below).